Creating a digital government that proactively delivers on citizens’ wants and needs is more than an addition or swap out of the current technology stack. It involves a well-planned strategy from a deep understanding of agency mission, processes and available resources. Organizations must understand their customers, their journeys and experiences, and then apply the right technology, processes, and systems to engineer positive outcomes that are effortless and personalized. All of this must be completed with an eye toward well-defined goals and objectives. We help our customers understand how and why citizens are connecting and design programs that respond to their needs. We use data, feedback, and customer research to help prioritize areas needing attention. Whether contact is made through email, phone, social media, text, or in-person, we make sure that citizens have a consistent and efficient interaction with their governments. 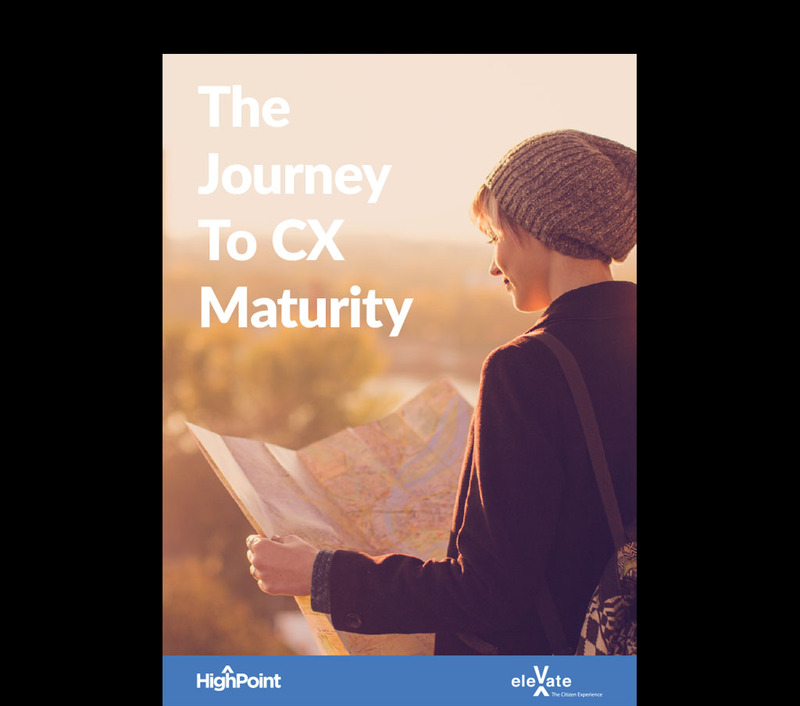 HighPoint helps organizations understand their CX maturity level and works with government agencies to continue to improve the citizen experience. HighPoint helps organizations visualize customer experiences through a number of tools that allow participants to walk in the shoes of their citizens. Our process captures the actions, thoughts, feelings, and emotions of citizens and identifies where current processes are not working for or responding to those needs. HighPoint delivers tools to enable agencies to have an ongoing pulse of the citizens they serve. We establish tools to capture customer perceptions including interviews, customer activity, focus groups, user centered research and surveys. Our team designs workshops around employee experience and engagement, organizational change management, and developing the customer strategy. Each session is tailored to the needs of the agency and its learners. Improved customer satisfaction metrics for Medicare beneficiaries year over year. Improved customer satisfaction scores for Affordable Care Act (ACA) consumers from 89 percent to 93 percent. Improved ACA contact center citizen satisfaction related to tax issues from 78 percent to 84 percent during initial year of implementation. Helped National Institutes of Health (NIH) Office of Human Resources take charge of internal CX training with introduction of CX tools including journey mapping, empathy mapping, and metric measurement, and held “train the trainer” sessions. Helped develop an effective staffing model for Customs and Border Protection Officers.